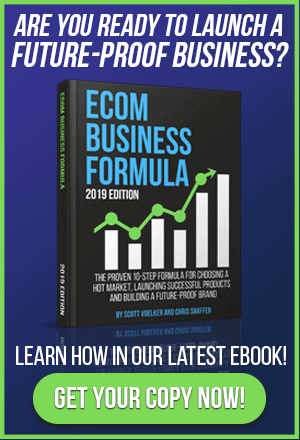 Have you ever wanted to get the real scoop on which tools will help you succeed the most as you build your ecommerce business? How do you pick which ones to buy and when? On this episode of The Amazing Seller, you’ll hear from Scott as he breaks down which tools are the most helpful for the early stages of your brand building process. Don’t get duped by the hype and excitement of every tool that comes out on the marketplace. 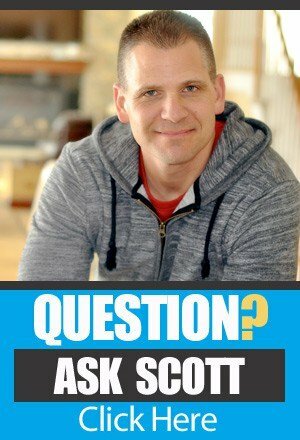 Take the hard-won wisdom that Scott has collected over the years and learn from his perspective. Don’t miss a minute of this helpful episode! Why should you use ecommerce tools? As you grow into your role as a business leader, you are going to have to make tough decisions like when to hire staff or virtual assistants. Before you even get to that step, you should really consider utilizing the wide range of ecommerce tools that are available in the marketplace today. Why should you use ecommerce tools to help you build your business? Simply put, an automated and streamlined system will save you time and money in the long run. To hear Scott’s take on why successful ecommerce business leaders use tools, make sure to listen to this episode of The Amazing Seller! What is Give Away Boost? You’ve heard Scott talk about building a launch list but did you know that there is a tool that he’s developed with his friend, Chris Guthrie that will help sellers like you get your list started? The tool is called Give Away Boost and it was built from the ground up specifically for ecommerce sellers. Scott has put this tool into action with his new brand which has been able to put together a list of about 20,000. Find out how you can get similar results using this plugin tool as Scott expands on this and more helpful tools on this episode of The Amazing Seller! Why you should use Convert Kit. One of the biggest questions out there when it comes to utilizing a launch list is what to do once you’ve built the list. The last thing you want is to stress out about when to send out your content and how to remind your followers of the great deals and contests that your brand is pushing. The ecommerce tool, Convert Kit will help you as you navigate the next step of pushing content to your assembled email list. Scott is confident that Convert Kit will help you push content and emails to your email list better than most of the other options in the marketplace today. Hear more about Convert Kit and other helpful ecommerce tools from Scott on this episode of The Amazing Seller! How Fetcher can help you make sense of all your accounting needs. Let’s face it, most business leaders aren’t equipped to handle all the accounting attention and details that are needed for a business to run smoothly. Most leaders suffer through the ins and outs of accounting for way too long and end up driving themselves crazy. If you can’t afford an employee to take care of the accounting piece for you, consider using an easy to understand accounting tool like Fetcher. Learn about all the cool aspects and advantages that Fetcher brings to the table on this episode of The Amazing Seller! Don’t miss this informative episode! [5:00] Why should you use ecommerce tools? [10:00] How Scope can help sellers like you. [16:00] Scott talks about how you can use the tool, Convert Kit. [18:00] What is the benefit of using Salesbacker? [21:00] How the tool, Fetcher can help your business. [26:00] What is Ignite and how can it help? [31:00] More tools and tips to help you succeed. [34:00] How split testing is made easier with Splitly. [37:00] What is Clickfunnels and how can it help you? …every single new tool that comes out that is the next best thing or the next tool that is going to make you rank better or find the next product. I want you to stop buying all of those. I want you to listen to what I feel are the seven best tools and really the ones that we are using and that a lot of my students are using to start and grow six and seven figure businesses. Again I’m not saying that you can’t use other tools other than the ones that I’m suggesting. Not at all. All I’m saying is there’s only a handful that you really need. And I get that question a lot. They are like, “Scott, what tools are the ones that you use?” Or, “What tools are the ones that I absolutely need,” and that’s why I wanted to address this. I’ve done it in the past so this is going to be an updated list but I’m going to be going through the tools and then also why I use them and really when to start using them. I think that’s the important thing. I think if you’re just starting right now, you don’t really need much. You can probably start with just one, maybe two tools that will do what you need it to do. Now, when I first started going back almost three years now in this Amazon space I wasn’t using any tools. I was going through this entire process digging through the listings seeing all the data and making a judgment call on that. It took a lot of time. Then tools started to come out to help in this process. Whenever there is a tool, I think about it like a physical tool that I used to use in the construction world. If I was a roofer, and I was doing roofing and I was taking nails out of my pouch that I used wear with a hammer and I was putting in five or six nails it took me time. [00:02:07] Scott: The minute they came out with an air nailer that sped up that process and did a better job. Well, I’m all over that. I mean I can do a roof in less time and a better quality one at the same time. So that’s the way I look at this as far as tools go. Do you have to use all of them? No. So I want you to stop thinking that just because someone came up with a new tool that will do this, that will do that whatever. You do not have to get sucked into that. You do not need all of the tools. Now, I do have all of my resources and the tools that I use, services as well all linked up on my resources page. Or I’ve had people that come to my meetups that their whole purpose is to share with me a tool that they’ve created. It happens all the time. I’m not saying don’t go out there and create tools if you want to that solves a problem or is a better solution. That’s fine if you want to do that. But myself personally like whenever I get new offers of new tools, I always ask myself does this thing help or replace the tool that I’m already using that I’m already happy with? Most of the times it’s no. So, I just want to let you guys know that yes, I do get compensated for some of these tools that I recommend on my resources page and even the ones I’m going to share with you today, I do earn a small commission. [00:04:09] Scott: I’m always upfront with that. It’s no extra cost to you, the partner that I’ve partnered with or the tool that I’m using they usually have an affiliate deal and from there I promote the tool and then they would pay a percentage. Usually a cup of coffee for the use of that tool. That’s how that works. I’ve probably lost, and this is probably low, over $100,000 in not promoting tools. I’m very selective on the tools that I promote that I actually put my stamp of approval on because I know a lot of you are listening and a lot of you want to know what are the best? Well, first off I’ll see if I can automate that task. I’ll get into some of the things can be automated. But that’s usually what I look at first. That’s why I use tools. That’s why you should use tools. I really want you to look at where you are in the process. If you are in the product selection phase there’s really only one tool that you need. You don’t need to start looking down the line at sales tech stuff. You don’t need that. You’re in the beginning stages. I want you guys to remember, we’re going through this process. [00:06:04] Scott: As you’re going through that process you’re going to need a tool probably to help you with that. Then this way here you can make it easier for you and faster because a lot of you are strapped for time. I know that. So if you’re strapped for time when you’re sitting down why not make it easier for you to be able to get the job done quicker so you can get onto more productive things. Let’s just kind of dig in here. If we are in the product selection phase which a lot of you are, my favorite research tool and you guys probably already know that is Jungle Scout. Now, when I first started using Jungle Scout, I was using it Beta. That’s when Greg Mercer reached out to me. We were in the same Facebook group together, he was telling me he was building this tool, this is before any research tools were even introduced to the market. I said, “Looks great. Love to test it. Love to play around with it. I’d love to try it.” He wanted feedback and he wanted to make that tool do the job that we were doing manually. Loved it. So I went ahead, started playing around with it and it has evolved so much since then but it’s exactly what I wanted. It goes into your listing and it looks, or goes into the listings that you’re looking at and it pulls all the information that we used to go into the listing and then find and then track and put it to a spreadsheet. So for me the very first tool and the tool that I always go to is the chrome extension. Now there’s a couple of different things that, or in this tool suite that Greg has now. He’s got the web app which is a tool that will also bring in products and give you ideas and suggestions for products. It will also track the products over time, it will also give you sales tracking over time. My first tool of choice out of the two tools that he offers right now for research is the Chrome extension for Google Chrome. The reason is because that’s my go to. As soon as I get an idea, as soon as I get something that’s on my touch list I dig in through Jungle Scout Chrome extension. [00:08:05] Scott: All right. That’s what I do. I dig in. I start going through the numbers. I start vetting and validating if that product is even worth looking into. I would go with the pro version of this as well. It gives you some really cool other features, some different scorings and stuff like that. That’s the one I would go to. Now the web app, I like using that for tracking a product over time. It might be something that I’m not even going to do right now but I might just put it in my bucket of products that I might consider and let it kind of go. I’ll come back maybe a month and I’ll look and see what the numbers have done. That’s my way of tracking something over time, not necessarily to pull in new suggestions or new ideas. I barely rarely use it for that purpose. That would be the order that I would invest in a tool. Now, if you want to get the suite you’re going to get a better deal and you’ll have the option of tracking as well. So that’s going to be totally up to you but the must, must have in my book is the Chrome extension. Now, as I’ve said before and I just said it earlier. I am an affiliate for Jungle Scout. I will earn a cup of coffee. You will get a discount. You’ll get some additional resources if you go through my link. That link is theamazingseller.com/js. All you have to do is go through that link, you have to do nothing else other than purchase the tool and you’ll be able to start using it immediately and then like I said I will get a small kick back on that. Just to be transparent with you guys. But you guys won’t pay any more. You’ll pay less. There’s actually a discount there if you go through that link and it’s a TAS special. So definitely check that out if you’re interested. I’m going to link everything up here, all these resources on the show notes page which is theamazingseller.com/459. If you want all of these in a list go check that out. [00:10:00] Scott: Tool number two. This one here is Scope. Scope is a tool by Seller Labs. What this tool does is it gives me keyword suggestions, it gives me keyword data and it also gives me new or even just intelligence about my competition and what keywords they are probably ranking for that are driving most of the sales. So in the beginning stages what I want to do is number one, I want to establish the product but then I can also look in here and see what kind of keywords are my target keywords. The other thing that I use this tool for is it allows me to understand the market very quickly or even the product for that matter and now I can optimize for not just the main keyword but a bunch of other keywords in that listing. So, again when you’re picking your product and then you’re ready to, after you’ve done your sourcing and then you want to go ahead and create your listing you want to optimize it. I talk a lot about optimization. If we optimized and then we start getting sales then we will start to rank. That’s how it works. You guys know that by now. If you don’t well you got to go back and listen to some past episodes because I talk all about that as far as like the five phases as far as launching. Actually if you’re brand new and you want that, go over to theamazingseller.com/start. I’ve got series, a five part series there for picking a product and then sourcing and then doing a pre-launch and then doing your launch and then doing a promotion. All of that is at that page, theamazingseller.com/start. Again, I want to optimize the best that I can before I even launch. The reason is because once I give it sales and that’s what’s going to help me rank I want Amazon to see all of the keywords that are relevant to my listing. [00:12:03] Scott: So that’s why I use a tool called Scope and to get that you can head over to theamazingseller.com/scope and you can check that out. So that’s for keywords and again I’ll use that later too when I start doing pay-per-click and sponsored product ads and stuff. I’ll be using that stuff as well and that works really good with another tool which I’ll talk about here in a few minutes but Scope is the one that I go to before I launch because I want to be able to get all of those keywords and get more ideas from my competition. Number three, GiveAway Boost. Now GiveAway Boost is a plugin that we created for building a list, a launch list. Now there’s other contest plugins out there or software tools even stand alones. They are usually monthly fees, this way here what we did is we build it, we are able to install it on our free blog and then from there all the pages are done for you and it’s built for ecommerce. Now that tool I partnered with Chris Guthrie, Chris Guthrie who also has Sales Backer and he’s just been in the space for a very long time in Amazon Affiliate stuff but then also in private label. I partnered with him because I wanted to build this tool. But I had no idea how to build the tool. So I said, “Chris, can you help me with this?” He said, “Yeah, I can.” We talked, we are actually really good friends now as well so that helps. Then from there we partnered. We built an amazing tool and that there helps us build a list. In our new brand we’ve built a list of just about 20,000 right now using this plugin. And building that launch list of email addresses. So we’re building our own list like you used to do a year and a half ago where you’d go to someone who’s built a list and then just hey, will you send this out and really it was a service that it was built for that so you’d just go to the service say, I want to give away 100 units at a discount and then they would say okay, pay me X amount and then they would send it. [00:14:07] Scott: All it is is an email list. We’ve done that. If you guys are not familiar with the launch list strategy, I’m going to give you guys another link that is theamazingseller.com/buildlist. Free resource, a workshop that me and Chris Shaffer did and we walk you through that entire process and GiveAway Boost what we also did is we included some training inside of there. Exactly how to set up everything up but then also how to really go out there and get traffic and how to set up Facebook ads and stuff like that. That’s all in there as part of giveaway boosts when you invest in that tool. That can be found at you can go to giveawayboost.com or you can just go to theamazingseller.com/boost and that will take you there as well and again I am a partner in that. That was a tool that was created with Chris Guthrie and myself and to me it’s the best out there for doing what we do because we built it for ecommerce, for taking people that are interested in taking our market and being able to have them raise their hand in a sense and then we know that there are interested in our markets. That’s GiveAway Boost. The reason why I am talking about this as far as in this order is because once we figure out the product using Jungle Scout, once we figure out our keywords, we get our listing optimized, we’re ready to get sales where we want to boost those sales by doing a small promotion. Well, that’s GiveAway Boost. So you see how I’m doing it? I don’t go out and get a tool unless I’m ready to use it. In this case if you are not at the product launch or prelaunch then you’re not going to need giveaway boost, so don’t get that yet. See what I’m saying. So just get the tool that you need right now. The fourth thing and this goes hand in hand with GiveAway Boost, Convert Kit. Now Convert Kit is a tool that allows you to collect the emails and then you can either drip out content or you can just message everyone with one click. [00:16:06] Scott: So, once you build that list immediately an email can be sent out to those people and reminding them about the contest, when it ends, who the winner is and then also a second place prize or something like that. Then you can start to create relationship with that list. Then you can do other offers in the future or you can just give them free resources so that way there they keep coming back and reading your emails. Convert kit allows us to do that. The way it works is GiveAway Boost is like the page is built and then on the backend convert kit takes that information and adds it to a list that I can automatically send messages to or what we call broadcast messaging. We can also send out an email one off. If I wanted to just say hey, you know what, I want to email them this Friday because I have something special I want to share with them, I can write them an email and then send it to the entire list. That’s convert kit. I’ve used AWeber. I’ve used MailChimp. Convert Kit to me is the best for this. If you’re at this level Convert Kit makes it super easy and they have more features that AWeber does as far as tagging and really some cool stuff that you can do. Now, if you want to check out Convert kit you can go to theamazingseller.com/email and then that will take you there and you can learn more about it and again when you are ready, not now. Not until you’re ready. If you’re at this stage, then yes. Then that would be the next move for you. So that’s Convert Kit. Number five is SalesBacker which a lot of people get confused with an email autoresponder like Convert kit and then a tool like SalesBacker. What SalesBacker does is it connects to your Amazon account, your email inside of Amazon and it allows you to send follow up messages and really you can set rules as to when those messages go out. So if your package was just shipped you can send out an email to that customer inside of Amazon. [00:18:03] Scott: Now, the confusion comes where people say, “Oh wait a minute Scott, why would I need Convert Kit and SalesBacker? Why can’t I just use one or the other?” Because SalesBacker is not collecting emails. What it’s doing is it’s automating an email that you would write normally. If you don’t want to use a tool for follow ups that’s fine but you’re going to have to either hire someone or you’re going to have to do it yourself or you’re going to want to drop an email and you can probably create a template for this and then just hit send once you want to follow up with them. So it could look like this, someone bought your product and then it gets shipped. Then you might send them as soon as it’s been shipped, you want to send them a message that says, “Hey so and so, I just want to let you know that Amazon has packed and shipped your item, you should be receiving it in a few days. While you’re waiting here’s a free resource so this way here when you get your new garlic press you are going to have a bunch of recipes that you can dive into. Hope you enjoy it and let me know if you have any questions once your item arrives.” That could be the message. Then you can have another follow up message maybe three days after it’s been delivered that says, “Hey, I’m just checking back in with you. Want to make sure that it arrived on time. If there’s any questions let me know. We really want to make sure that you’re happy with your new stainless steel garlic press. Take care and oh by the way, here is that link to that pdf again of your recipes,” or something like that. Then maybe the next one would be seven days later and then you’d check in one more time and then maybe say, “Hey, could you do me a quick favor. We are a small family owned business could you let Amazon know how we did and just give us your honest opinion. We want to make sure that if there’s any problems we want to take care of it.” That’s it. So you’re asking for technically like feedback/review. It will naturally happen if you nudge it along a little bit. That’s all we are doing there. Really all we are doing is just stay in front of mind and letting them we are a real person, we’re not just a business that just sold them one item. [00:20:01] Scott: So that’s SalesBacker. SalesBacker I’m a huge fan of and the cool thing is and again you heard me talk about Chris Guthrie he does something pretty crazy. He gives you 60 days free like use of the tool and there’s a few limitations, not much. It’s you can send up to 150 or 200 emails something like that and there’s just some pro features that are in there but for the most part you can send for 60 days you can connect that to the Amazon account and start sending follow up messages. So I would definitely check that out, no credit card either. You can just sign up for free. You can go to theamazingseller.com/followup. So that way there you can follow up. So theamazingseller.com/followup and again guys I’ll have all of these links on this episode at 459. So you will definitely want to check those out. Moving on, number six, Fetcher. Fetcher is an accounting tool. Again, me and Greg are pretty good friends now and we were at an event about a year and a half ago and he’s like, “Hey Scott, come here. I want to show you something.” He pulled me into a corner and he opened up his laptop and he showed me Fetcher before it was even open to the public. He was doing another beta round. He was like, what do you think? What do you think of this? I’d love your feedback and I thought it was great, it was easy to use. The dashboard was clean. I hate accounting software that seems like you have to have went to college as an accountant to understand it. I’ve used other ones out there and even in my brick and mortar I’ve used some other ones like QuickBooks and stuff like that. This here is so easy to use but the cool thing is it’s built really for Amazon sellers. So it takes all of the information that is in your account, it pulls in and it sorts it all for you. The other cool thing is it gives me like live updates or live numbers. So if you sell let’s say you sell three different products in sports and outdoors, you’re going to have sales that come in on all three products. So you’re going to have maybe three on one, seven on another and maybe twelve on another. [00:22:14] Scott: But during the day, that actual day in you Amazon accounts it just shows you how many sales you have in Sports and Outdoors. You can’t look at the numbers until the following day when the report has been finalized. Inside of Fetcher it allows me to see this stuff just about in real time. Sometimes it’s even ahead of my Amazon account as far as updating. It’s cool because then I can go in and go oh, it was item number one has all the sales today and the other two haven’t sold anything. I can see that. Not that that’s something you have to have to have but it’s cool to have. I have always wondered, especially when I launch a new product and it’s in the same category I don’t know until the next day really how many had sold of that item. That’s why I like that. That’s just a bonus little feature but what’s good about it is it figures in expenses that come out of your account that you would not even know that they were itemized like that. Your accountant will want that. I actually talked to my CPA about Fetcher, he thought it sounded amazing. Whenever I handle the report he loves it because it’s so easy to read but it’s everything I need. The other cool thing with Fetcher is if you have external costs or receipts, you can add them in. Or if you have recurring fees, let’s say that you have a subscription on something, let’s say that you are using Tax Jar, which is one of my tools but not on this top seven because that’s later. Let’s say it’s Tax Jar and you’re spending 30 bucks a month, you can put that in once and just say I want to be a recurring fee every 30 days. Then it will hit, you don’t have to keep re-entering it in. That’s what I love about it. You can do it one time as well but the cool thing about Fetcher is that it’s easy and it lets you know what your business is doing right now. [00:24:01] Scott: It will show you your profit that day of exactly where you are at. If you want to do the last 30 days, the last 90. If you want to do a certain custom date range, it will give you that as well. It will tell you what your pay-per-click was out of everything. It breaks it down in a nice pie chart but then also line by line. So I love it, it’s really easy to use, the other cool thing that they do over there at Fetcher is they will get on a phone with you and help you through that and that’s for our TAS listeners, you can do that just by again signing up through my link at theamazingseller.com/fetcher. Then from there you’ll get a 30 day free trial so you can pull in all that information, all the data. It will start doing it automatically once you connect your account. Then from there you can set up a call with them and they will help you get things set up. Now if you are brand new, you probably don’t even need that but if you’re coming from an account that’s two years old and you want to know about importing over the information and how all that works, they can help you with that. I’m a huge fan of Fetcher and it just makes it super easy to know exactly where you are. It’s like the heartbeat of your business. It’s to me vital to know where you are as far as profitability but then also where you are spending the money. So definitely check out Fetcher when you are ready. If you are not launched yet then don’t worry about Fetcher yet. Wait until you are and then get 30 days free to go ahead and try it. So that’s what I’d do. So Fetcher is another must have for me. Okay, number seven and the final one on the top seven. Now, there is a few other ones I’m going to mention here after this but these are the top seven that I think and I use that I think you can use for building a six figure and a seven figure business and that’s it. That’s all you really need to get it to that level. Now, there are a few other things that you might want to use, yeah sure and I’ll mention a few of those but this is pretty much everything you would need to run that business. So, let’s dig in. [00:26:03] Scott: Number seven is Ignite. Now this is another tool that some people would say, “Well, I want to do it all myself. That’s fine. This here is about automation. Kind of like Fetcher. If you automate that you don’t have to do anything. I was importing all of my data, I don’t have to do that anymore. SalesBacker, I was manually emailing my customers. Don’t have to do that anymore. Convert kit allows me to take and email right at once and have that drip out over time. So you see what I’m doing here? I’m trying to automate as much as I can. Well, Ignite does that for your pay-per-click. Now, if you want to start doing your own pay-per-click from the beginning. That’s totally fine because you want to understand it, you want to get your hands in there. I’m a big fan of doing that a lot of times. I like to know how to build the house before I tell other people how to build the house. It’s just the way I am. But as soon as you feel as though you want to have that semi automated, and I say semi because Ignite what that does is it allows you to make decisions based off some of criteria that you set. So you’re able to jump in there. It will give you suggestions and you can say to ignore or you can say to accept. If you accept it, it will literally move keywords from one campaign to another or it will put a negative in. Or, it will pause. So there’s a lot of different stuff that you can do with one click that it will do for you that you would normally have to do all by hand. So that’s why I said that one’s like semi automated because you’re going to go in there and you’re going to want to go through that data and then make decisions based off of those suggestions. The cool thing they just announced actually was day parting. That was something that we have been asking right from the beginning pretty much because what we do is we pause our campaigns at night, we start them in the morning. We’ve been doing that and now for probably around four months and it’s made a huge difference. [00:28:01] Scott: Because we have found that during the day our budget is spent but we also get more sales than people that click on it at night. I don’t know the people on at night are just not buyers and they are just clicking I don’t know but that’s our experience. Yours might be opposite. You might be saying, I run it at night because people like me are turning it off I’m going to have more, that may work for you, depending on your product. Again, you got to test that. But the cool thing about Ignite is another tool that was not in existence until I started talking to Jeff Cohen over at Seller Labs and he was like, we’re working on something, would you be interested and I said, absolutely I’ve been looking for something like this. And Chris Shaffer actually went in as a private beta where it was just him and like 10 or 12 other people and they were actually building this thing together. Chris was giving them suggestions of what he’d love to see and a lot of it they made happen. This day parting was another thing that we wanted and it took a little while to get it but we finally got it. So that’s Ignite. Again, they offer a 30 day free trial. If you go over to theamazingseller.com/ignite we have a whole resource on pay-per-click too by the way for free, if you want to check that out. That’s at theamazingseller.com/ppc and you can get all that information there and you’ll see also that we do talk about Ignite and how we’re using it inside of that training. That’s Ignite and I’m a huge fan of it. I’m a huge fan of that company. Going back to the tools, I also look at the company a lot guys. There’s a lot of tools that are coming to me from people that are just someone working in their office somewhere which is totally fine and maybe it’s in their spare bedroom or whatever and they are a coder and they are creating something. I don’t want that. That makes me very nervous. Now, in the beginning that’s what Greg was doing. He was running a full time ecommerce business and the doing this on the side but now he’s built out this massive team of support and developers and all of this stuff. [00:30:01] Scott: So I always look at the background and then also the person. So sometimes it takes a gut feeling. If I listed the creators here of these tools I feel as though I have a great relationship with them, I trust them, they are the good guys. It’s how I look at it. So you have Jungle Scout, Greg Mercer. You have Scope which is by Seller Labs which is Jeff Cohen. You have GiveAway Boost which is by Chris Guthrie and myself. Convert Kit is by Nathan Barry who is another great individual, another great guy. Been following him for years. I Just met him and we had a great conversation. 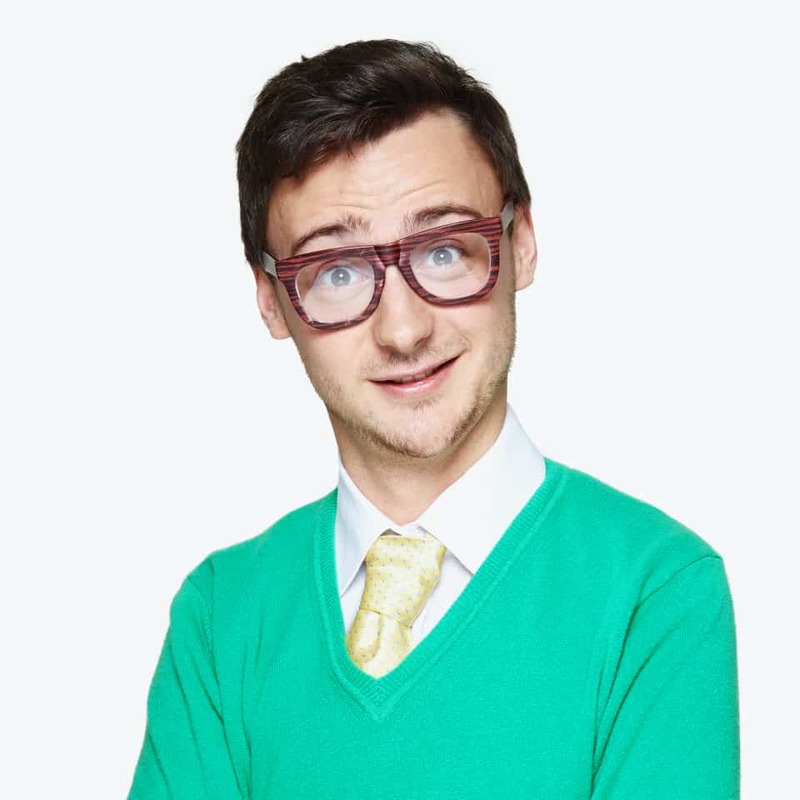 He’s probably going to come on and do a workshop for us as well for list building and stuff. So another great guy, another great company. SalesBacker again Chris Guthrie and then Fetcher Greg Mercer and then Ignite, Seller Labs once again and that is Jeff Cohen. So you can see there’s like a handful of people, a handful of tools that’s what I use. Now, let’s move on. There’s some other things that you may want to consider. The first thing you’re probably want to consider and this again is going to help you stay above board as far as like staying clean because taxes. We talk about taxes, we talk about sales tax. Number one you want to probably reach out and find a CPA. Find a CPA or an accountant that can help you get things structured or understand your business. Now, I’ve had Josh Bauerle on in the past, he’s my CPA. You can find him at CPAonfire.com or you can just go to the resources of this page and I’ll link that up but you definitely want to get that straight. You want to start there on the right track and again that starts with bookkeeping as he has said and that is Fetcher but the other one is Tax Jar. If you are at all confused, which we all are on sales tax, go to taxjar.com. Just go there and just dive into that information. Ask questions, reach out to their support, they are great people there but that’s another tool, it’s actually an automation tool in a sense. [00:32:06] Scott: So where they will give you all the data and then if you want to set it up for them to file some of the states they’ll even file for you for a fee. So Tax Jar is definitely a service and something that I use every single month for sales tax. The next one is Merchant Words. Now I have used Merchant Words in the past just for keyword suggestions, keyword ideas. Now, I’m really curious as to where they get their data because some of it they say well, it comes from Amazon and some of it says it comes from Google so what I’m probably going to do is get the owner of Merchant Words on. So if he’s listening you can reach out to me or I’m going to be reaching out to him anyway. I’m thinking about getting him on the show and just asking. Because I would probably use it more if I knew that the data being pulled in was Amazon data or at least I can feel confident that those searches that are coming back are ones that are coming from Amazon. If it is, then it becomes a more powerful tool for me. If it’s just finding additional keywords and ideas Google planner works really well for that as well. The cool thing with Merchant Words is it does it in a nicer interface and it does pull in. It seems like more suggestions at a glance. So Merchant Words I’m a fan of, I have a subscription to it, I use it not every day but I do use it when I want more ideas. Even if I just want to see the difference between that and Scope but usually I use Scope for getting my keywords for optimization. Because I can go right on the listing with Scope and there’s a little tab on the bottom. I can click on it and then it pulls all the data from that listing which is pretty cool. With merchant words, I’m kind of typing in a keyword like a seed keyword and then it’s giving me a whole bunch of suggestions and it will say in Amazon. Again, I got to look into that myself so I’m not going to say go out there and get it and it’ going to give you this hidden information. Like there’s a formula behind it. You can do it just to get an idea by turning it off, turning it on, turning it off, turning it on. But as I’ve talked to Greg, it’s not the same as if you are able to do that in certain intervals and stuff like that. There’s a formula behind it. Splitly allows you to do those tests. Now, the one thing I would recommend if you’re going to do split testing is only do one split test at a time. If it’s pricing, only do the pricing. If it is images, only do the images. Those are really the two main ones that I test. I did that for a few products in the new brand and we were able to discover our sweet spot for the pricing and it was $21.42 or something like that. What it will do is you’ll give it a threshold. You’ll say like start here at $18.99 and the most I want it to go up to is $23.95. Then it will take that pricing and it will adjust it throughout the day. It will adjust it at night. It will adjust that over time. It will tell you when it feels as it has data that is worth acting on which is pretty awesome. [00:36:03] Scott: Same thing with images. You’ll put two images in and then it will rotate through those images specific times. Then at the end of a cycle of time, this is all going to depend on how much traffic you have. If you’re only getting 50 visits to your list a day, it’s going to take a while. If you have 500 a day, it’s going to be pretty quick because it has more people going through it. So that’s Splitly. Again if you want to check that out, you can get a free 30 day trial there as well. That’s at theamazingseller.com/splitly. Again, I’m using it, I love it but again not until you’re ready. Not, until you’re already launched, you got all these other things in place. That stuff’s there. This is for really optimizing your listing and also optimizing the amount of money you are making from your product. So that’s Splitly. The last one that I’m going to mention here is Click Funnels. Click Funnels is great for building external funnels. Or even landing pages for that matter. But for us, we are using click funnels for external funnels. This is where we are going to be taking an offer, let’s say it’s free+shipping. We’re going to have an offer that is like a lost leader for us. “Hey, get this stainless garlic press for free.” All you have to do is cover shipping and handling. Then in the back end we would sell them a subscription to organic garlic. That’s how that would work. We’re going to lose on the front end but we are going to gain on the back end. That’s how an external funnel works. That’s what we’re going to be playing around with a lot in 2018 but again if you’re just getting everything else set up, this is not a priority. Just because you hear people talking about it and you think that’s the thing you have to have if you get it, it’s going to just sit there it’s not worth having. Think about it that way too. If you’re buying something but it’s going to sit there because you’re not ready for it yet, don’t buy it. Don’t buy it yet. That way there it will also keep you in not being confused as far as what you need to do next. [00:38:02] Scott: Oh, the other thing I should mention is Splitly also allows you to track keywords on your listings. So that’s the other thing I use it for. It’s tracking keywords. Now, I’ll be honest here. I do not spend a lot of time going in there and seeing where I’m ranking. I just don’t do it. What I will do is set up a handful that I want to track and then I might go in there after a launch and see how it’s doing but I don’t monitor that on a daily basis. That’s not something I think that anyone should really do because if you’re only banking on one keyword and that one keyword disappears, well then you’re out of luck. We don’t want to just do that. Now is it important, maybe when you’re launching to see how well you’re optimized and to see how well your efforts of ranking are? Then yeah. Then that makes sense. That’s when you would do that. But Splitly offers that as well as part of that service. Splitly allows you to split test also pricing and images and even copy if you want to, titles if you wanted to. Then from there also does some tracking of keywords as well and it keeps track of that for you. So that’s pretty much the list that I want to give you and again, the first seven that I talked about Jungle Scout, Scope, GiveAway Boost, Convert Kit, SalesBacker, Fetcher and Ignite those are my top seven. Those are the ones if I had to say, those are the seven I have to have to have that would be it. I think the next one would be probably definitely Tax Jar as a service. It is a tool but it’s a service more than anything. It allows you to see the data and then from there you can do whatever you want to do with it or you can have that some of that automated through that. Tax Jar you’re going to want because it’s going to help in that process. You don’t necessarily have to have it but it will allow you to automate some of that and especially because you should be collecting sales tax to where you have to and then from there submitting that. But again, the other one I would probably say is Splitly when you’re ready. [00:40:00] Scott: That’s another great one. But again, all of these will help you in wherever you are as far as like if you’re doing external funnels that would be you’d use for Click Funnels. That’s the thing you’d use for Click Funnels. So that’s it. That’s the top seven. If you want all of these in one nice neat little list, head over to the amazingseller.com/459. I know I didn’t mention services like Flex Port for freight forwarding and all of that stuff that stuff is all on my resources page. So that’s for like sourcing and all that and shipping. You can head over to theamazingseller.com/resources and that will give you all of that. But I just wanted to do this because I get a lot of people that say, “Scott what are the must haves? Like what do I have to have?” And the first thing I would tell them and tell you only buy the tools that are going to help you right now. Then from there move on to the next one when you need it. Guys that is going to officially wrap up this episode. Remember as always, I’m here for you, I believe in you and I am rooting for you but you have to, you have to… Come on say it with me, say it loud, say it proud, “Take action.” Have an awesome, amazing day and I’ll see you right back here on the next episode.